At Childress Ahlheim Cary LLC, our General Civil Litigation team has developed one of the most experienced and respected litigation practices in the states of Missouri and Illinois. 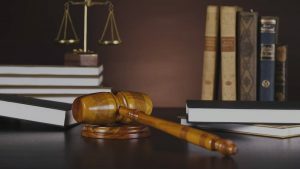 Our firm includes an established group of trial lawyers who have served defendants all over Missouri and Southern Illinois in matters involving toxic torts, product liability, negligence, and premises liability. Our attorneys understand the science, medicine, research and regulations on which many cases turn. This permits Childress Ahlheim Cary LLC to communicate effectively with clients in their own industry terms. Additionally, our paralegals' specialized training and experience in identifying and organizing key information from the vast quantities of factual materials produced in the discovery process greatly enhances the presentation to experts and courts, and increases client value in the litigation process. Childress Ahlheim Cary is a knowledgeable law firm that places every effort into obtaining superior results for every single one of our clients. Our lawyers understand the importance of accessibility and responsiveness. We strive to maintain strong communications with clients, to be available to answer their questions, and to keep them informed of the status of their case and actions taken on their behalf. Our attorneys work in and out of the courtroom to provide our clients with the winning result.